← Having a baby? Here’s a pregnancy checklist to help you. Tree Petts Casting and urgently lookingÂ for mums (and dads) at various stages of the weaning process for an internet spot for an organic baby food brand. They would like friendly, upbeat mums and dads who are in the process of weaning their babies and are willing to share their knowledge and experiences. How old is your baby? 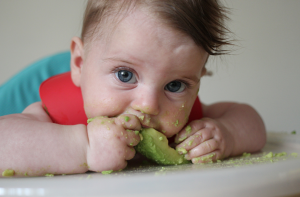 What stage of weaning is your baby at? What sorts of food do you prepare? How do you prepare it? What advice do you have for other parents in a similar situation? Can you show us how you prepare your meals? Weaning can feel like a crazy, whole new world to parents but we want to make it a fun one…. and we would love your help! If you are interested, please could you send a pic of yourself and your baby along with a short 40-60 sec video (taken on mobile is fine) introducing yourself and your baby (including both your ages and a contact number) to assistant@treepetts.co.uk. PLEASE SEND TO US AS SOON AS YOU CAN â€“ PREFERABLY BY END OF DAY TUES 24TH FEB (definitely need by Wednesday lunchtime!) We will then get in touch with you to tell you a bit more about the project and perhaps move on to the next stage. The videos and pics you send in will NOT be published anywhere – they are for myself and the advertising agency to be able to shortlist. YOUR BABY NEEDS TO BE IN THE PROCESS OF BEING WEANED WHEN WE SHOOT SOMETIME W/C 23RD MARCH 2015 (he/she cannot be completely weaned by the time of the shoot). You will be remunerated if selected for the shoot. 125 Hendon Way, London NW2 2NA T.